On Thursday, March 17th, St Paddy's Day, Star Boxing brings an exciting card to the Plattduetsche Park Restaurant in Long Island. Headlining the "March Mayhem" card is Star Boxing's popular jr. welterweight prospect, Huntington's undefeated, Chris Algieri (10-0, 5KO's), as he takes on upset-minded Martin Tucker (7-7, 3KO's) in an eight round jr. welterweight contest. Algieri is coming off a unanimous decision over James Hope. Algieri and Tucker were originally scheduled to fight in September, but Algieri was forced to pull out after breaking his hand in training. Now the hand is fully healed and Algieri looks to continue on his climb up the loaded jr. welterweight division ladder. Algieri turned pro boxer in 2008, after an extensive and successful career as a kick boxer. 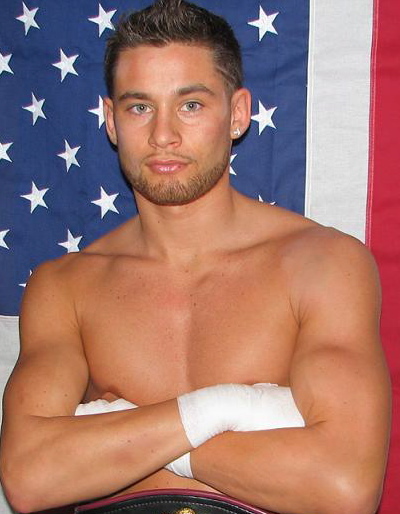 After winning the USKBA Northeast Championship as an amateur, Algieri turned pro when he was just 19-years-old, and went on to win the WKA Super Welterweight World Championship only two years later. Algieri ended his kick boxing career as the undefeated, undisputed kick boxing world champion, in not one, but two weight divisions. The 30-year-old Tucker, who hails from Ohio, is a tough brawler who has only been stopped once in his career. Tucker recently had his career best victory, an upset unanimous decision victory over previously unbeaten Michael Torres (13-0, 7KO's). A complete list of the undercard will be announced shortly. Tickets for "March Mayhem" are priced at $100 for Gold Ringside (first row), $75 Ringside, and $50 for General Admission. Tickets can be purchased by calling Star Boxing at 718 823-2000, or visiting www.starboxing.com. Doors open at 6:45PM with the first bout scheduled for 7:30PM. The Plattduetsche Park Restaurant is located at 1132 Hempstead Tpke, Franklin Square, NY 11010.